OMG Posters! 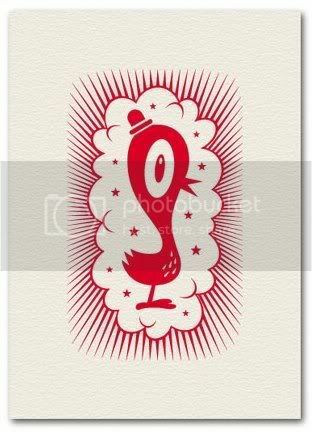 » Archive New Candykiller Letterpress Prints - OMG Posters! LetterPressed is offering a preorder on two new prints by Brian Taylor aka Candykiller. 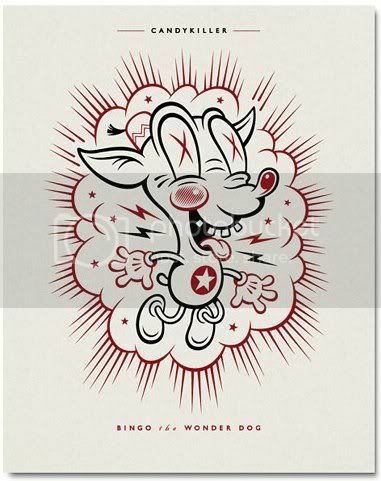 The first is called “Bingo the Wonder Dog”. It is 8″ x 10″, an edition of 90, and $35. The other, “Presston”, is 5″ x 7″, an edition of 50, and only $15. Both are getting pretty low already, so jump on them now if you want one. To purchase, visit LetterPressed.com. Thanks for the mention Mitch!